How much is Kato Kaelin Worth? 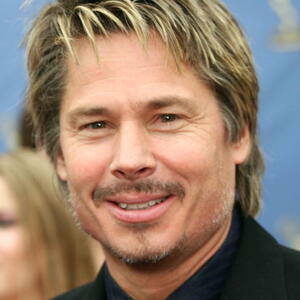 Kato Kaelin net worth: Brian "Kato" Kaelin is an American television and radio personality who has a net worth of $2 million. Kato Kaelin came to fame as a witness at the infamous murder trial of O.J. Simpson. From childhood, Kaelin became known as 'Kato' after a character from the TV series The Green Homet. While a student at Wisconsin Eau-Claire University, Kaelin set up his own talk show called Kato and Friends on campus. Without finishing high school, Kaelin moved to Hollywood to pursue a presenting and acting career. Kaelin became a talk host on KLSX in Los Angeles during the mid-nineties. Prior to that, Kaelin appeared in low-budget films like the 1989 crime movie Night Shadow and the 1990 production Beach Fever. Kaelin also made several TV guest appearances in comedy sketches during the mid-nineties, including MADTv and Mr Show. Despite his TV and radio career, Kaelin is better known as a witness of O.J. Simpson murder trial. In recent years, Kaelin has been a regular on reality TV, appearing in Celebrity Boot Camp, Sunset Tan and Gimme My Reality TV show. He was a co-host for daytime TV show, Eye for an Eye in 2005-2006.